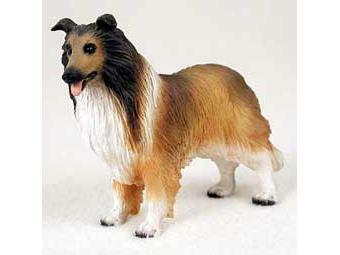 Sable Collie figurine measures between 3" to 4" tall. Made of a stone resin and hand painted. This product was added to our catalog on Sunday 25 November, 2012. © 2004-2019 Noah's Animal Figurines. All rights reserved.